“Otaru Snow Story” is a new winter tourism event began in 2013. It’s the generic name of various stories born in Otaru in the winter season. Otaru is covered with deep snow throughout the city in winter. 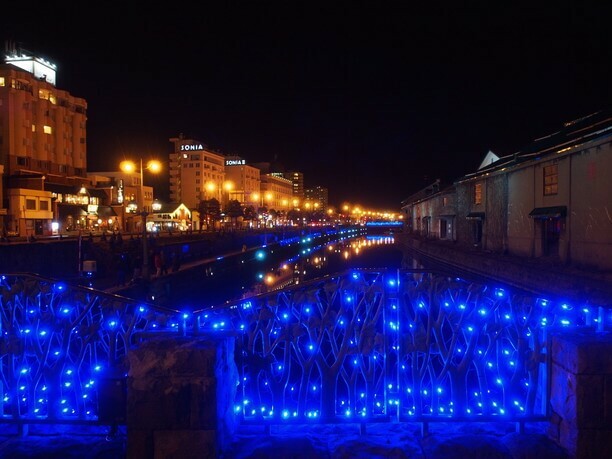 Otaru Canal becomes “the Blue Canal”, the sidewalk of about 300 meters between Akakusabashi-Bridge and the Central Bridge shines with the blue illumination. “A floating ball tree” made of as many as 200 glass floating balls will be lighted up outside the Canal Plaza. In February, Otaru Snow Light Path will be held. The streets are illuminated with handmade lights and wrapped in a romantic atmosphere. Otaru Snow Story will be held from November 21 to February 14, a long period of the first snow to the deep snow. 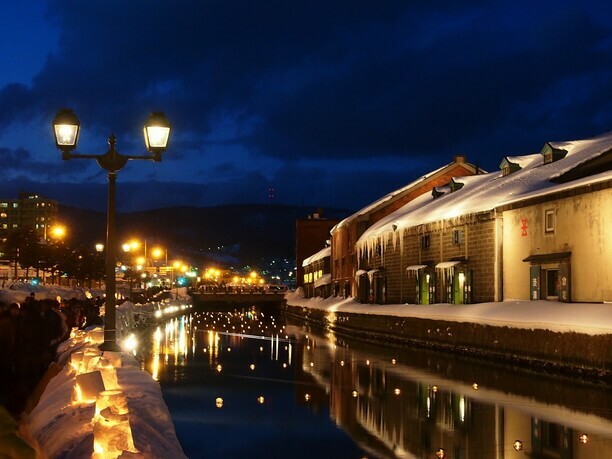 Why don’t you leave each story in Otaru in the winter when you visit? 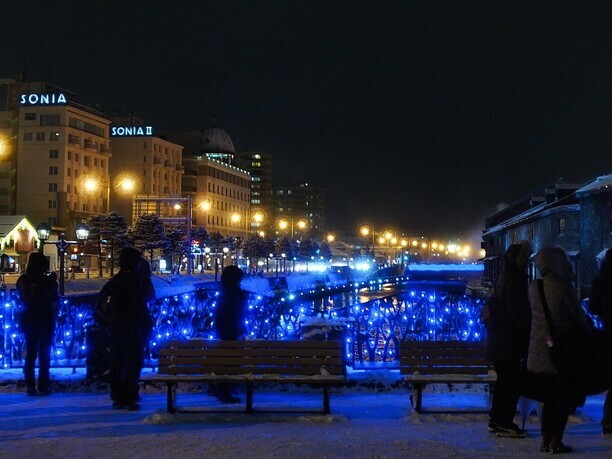 “The Blue Canal” is the illuminations that color the Otaru Canal. The canal is a famous sightseeing spot with a scenic landscape with brick warehouses on the both banks. Among the four bridges crossing the canal, between the most famous Asakusabashi-Bridge and Central Bridge, the sidewalk of about 300 meters shines with blue illumination. During the period, it’s a little different from the usual expression. When the snow starts to pile up, the illumination reflects on the snow and shines bluer. Let’s wear warm clothes and walk along the romantic canal. Lighting time: Sunset – 10:30 p.m.
“Floating ball tree” is worth visiting! About 300 meters from Asakusabashi-Bridge to Central Bridge, there is a “Canal Plaza”, the information center of sightseeing. 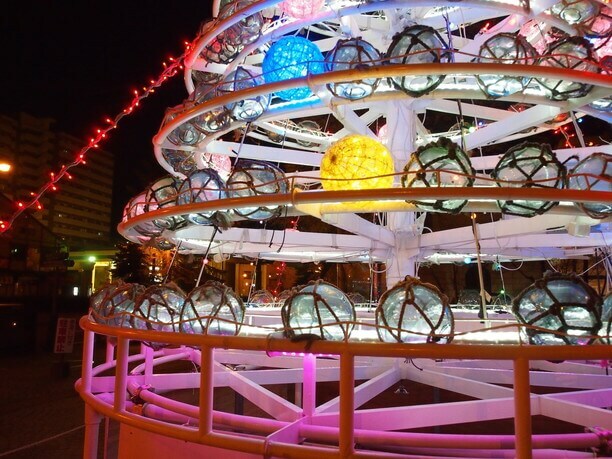 During the Otaru Snow Story, “floating ball tree” illuminated for 200 floating balls of glass used for fishing is decorated in the front garden of the Canal Plaza. 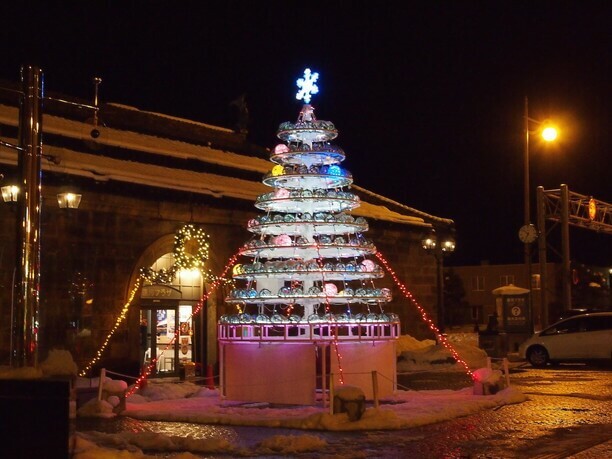 The unique tree only in Otaru, where is a port town and a glass town, is worth seeing. It is popular as a photography spot because it is outside. As entering the hall inside, “wineglass tower” about three meters in height, the symbolizing Otaru, the city of glass, welcomes you. 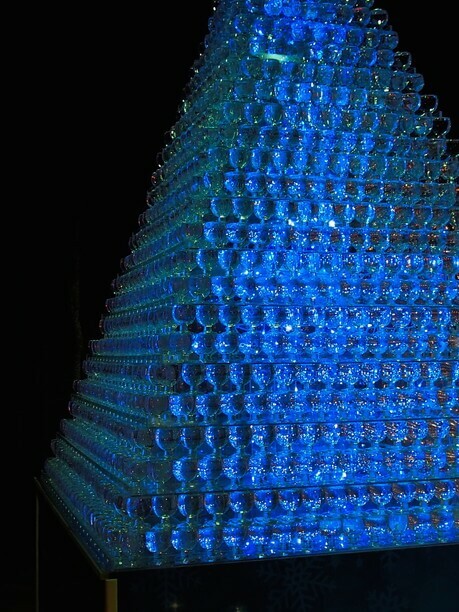 About 1000 wineglasses built by the citizen by hand, it’s very powerful. 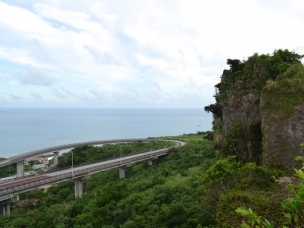 In the season for 2015 – 2016, the mechanism for water flow was applied. 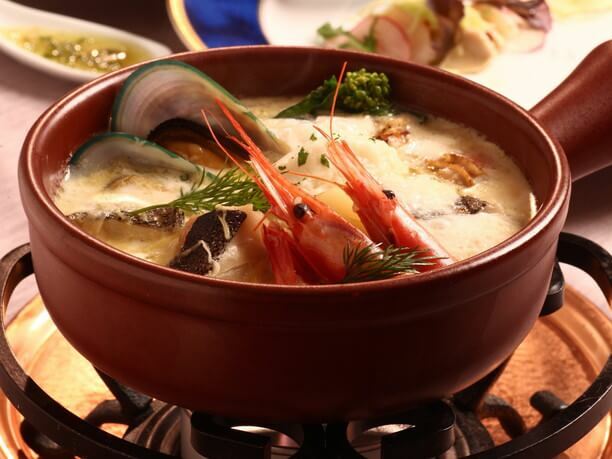 You cannot miss the Otaru gourmet. 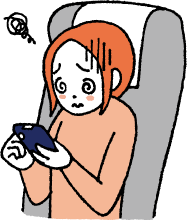 When you visit during the period, first you would like to get a leaflet about Otaru Snow Story. 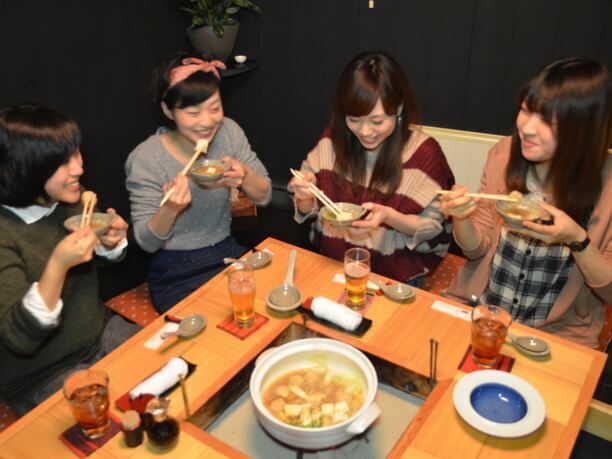 Gourmet information of about 40 to 50 shops in Otaru City is collectively posted, and it’s named “Machigohan”. Since there are also maps and recommend menu are placed for each shop, you will surely find the shop that you want to go. Before going on, “Snow Town Otaru – Yoich” (1500 yen) is recommended. It’s sold only at the Canal Plaza. The content of the kit is “leaflet, three sheets of meat ticket for 500 yen, and glass message plate”. 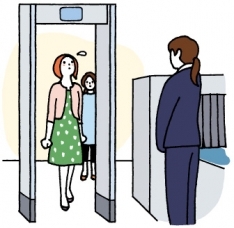 By using this meal ticket, you can receive benefits that you cannot receive normally. The benefit varies depending on each shop, such as a glass of drink service, 10% off the check. You can write a message on the glass plate and decorate in the plaza. At JR Otaru Station, this is the gateway for people, who visit Otaru, about ten artworks by the glass workshop in Otaru are displayed. 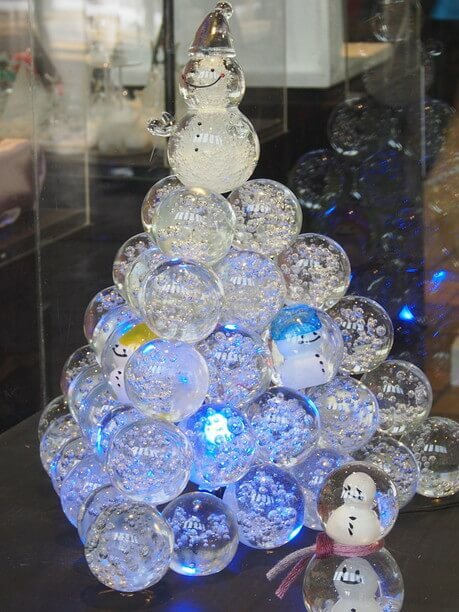 The theme of the work is “Snow”, “Winter”, and “Otaru. 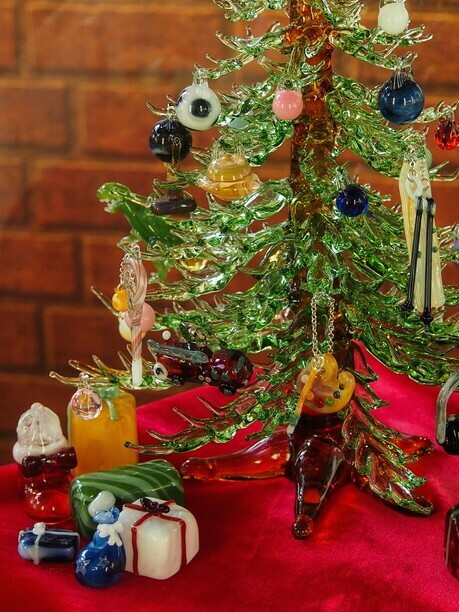 It’s nice to go to Otaru City to find your favorite glassware after seeing the arts. Multicolored glass, and meals that you can enjoy the sea and mountains. Why don’t you spend a wonderful page in Otaru winter? About 10000 LED bulbs produce the blue lights for “the Blue Canal”. The shops on leaflet do not appear in information magazines usually. In the Canal Plaza, “Message postcard (300 yen)” is sold during the period. The message written on the day will be delivered during the Christmas season next year. Let’s send a message to yourself and your precious person. Otaru snow light path warms the hearts of the many people who visit each Winter. 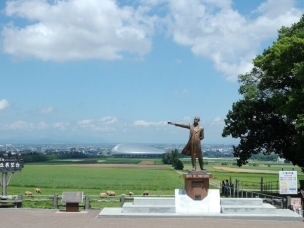 Enjoy the spirit of hospitality at this exciting Northern Japanese spot!